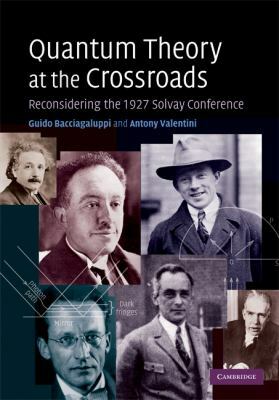 The 1927 Solvay conference was very important meeting in the history of quantum theory, but no consensus was reached. This book contains a complete translation of the original proceedings, with background essays on the three main interpretations of quantum theory presented at the conference. Guido Bacciagaluppi is a Senior Research Fellow at the Centre for Time, University of Sydney. His research interests lie mainly in the philosophy of physics. He has contributed significantly to the development and critique of modal interpretations of quantum mechanics, and he has since worked widely in various approaches to the foundations of quantum theory, as well as in the philosophy of probability and time and in the history of quantum mechanics. Antony Valentini is a Research Associate in the Theoretical Physics Group, Imperial College London. He proposed that the universe began with a non-quantum distribution of hidden variables, which later relaxed to the quantum equilibrium state we see today. He has pioneered the development of new physics of quantum nonequilibrium, de Broglie-Bohm theory, and hidden-variables theories generally, and has explored its possible role in cosmology, black holes, and information theory. He also works in the history and philosophy of modern physics.